Consuming too much sugar from a wide variety of foods is a serious problem not just in America, but in many parts of the world. With the popularity in recent years of sweetened drinks like vitamin water, specialty coffee and energy drinks, we're drinking more sugar and calories than ever before. 1) Spaghetti Sauce – 3 teaspoons of sugar for every half cup for many brands. 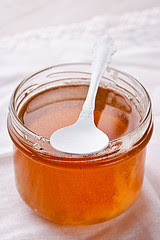 2) Low-Fat Salad Dressing – Sugar is substituted for the removed fat. 3) Bagels – especially honey, cinnamon, and fruit. Some have at least 2 teaspoons of sugar per bagel. 4) Yogurt – most fruit yogurts are loaded with sugar. 5) Ketchup – 4 tablespoons of ketchup equals 1/3 of a soft drink can.